Materials, Made in Europe - Direct Alpine s.r.o. 4WAYTEX is a trademark of Direct Alpine company materials of sandwich construction, which individual layers, properly combined, ensure excellent product parametres. SOFTSHELL 4WAYTEX is focused for excellent permability of laminate along with maintaining low weight and sufficient wind and waterproofness. Climashield HL - The continuos filament insulation. High loft - High loft provides comfort and thermal efficiency with less weight. Compressible - Highly resilient fibers compress easily and bounce back to ultra loft. Warm - Traps body heat while moisture wicks away. Durable - Unlike down and other syntetic insulations, this high loft insulation is machine-washable and will not clump or shift. Water resistant - Dries quickly and maintains warmth even in wet conditions. Hypoallergenic - Unlike down, does not provoke allergies. Coolmax® is a high tech fabric specifically and uniquely engineered to keep users dry and comfortable. Coolmax® fabrics are made from specially engineered polyester fibres from ADVANSA with an increased surface area. This special four-channel or six-channel fibre forms a transport system that pulls moisture away from the skin to the outer layer of the fabric. 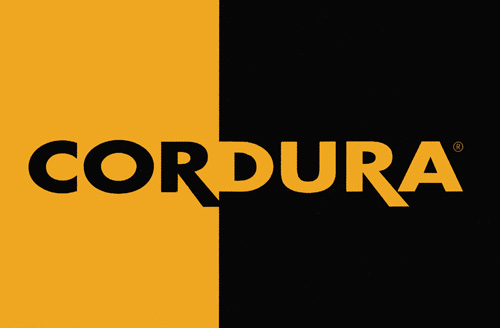 CORDURA® fabric is durable, versatile and reliable. Constructed using high tenacity fiber technologies. Diaplex - Non-porous membrane based on shape memory polymers. DIAPLEX is a smart material capable of adapting itself to ensure maximum comfort for the clothing user. At very low temperatures, below freezing point, the polymer‘s molecular chain closes up and allows a basic passage of water vapour. As the temperature of the membrane increases towards 10°C, the memory effect is activated, the polymers of the membrane move further apart, and in this way they allow increased passage of water vapour and greater permeability of the membrane. Mitsubishi Heavy Industries Patented. Made in Japan. 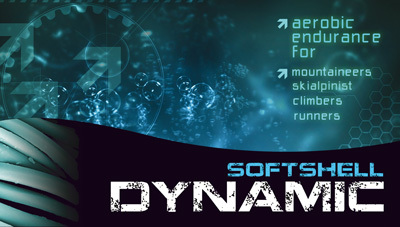 Dynamic Softshell - 2-3 layer laminate with excellent permeability. Material developed with particular focus von vapour-permeability along with low weight and sufficient wind and waterproofnes. Weight-light, flowing laminate with inner fleece insulating layer. 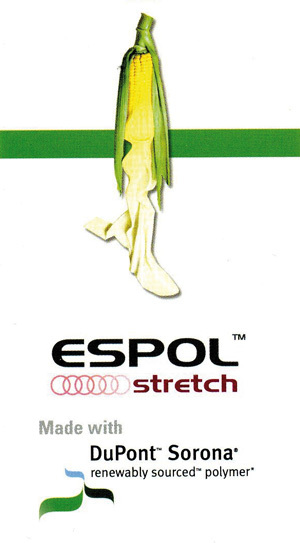 DuPont Sorona – Espol - renewably sourced fiber delivers superior performance benefits to sustainable clothing. Fabrics that use Sorona® are very soft, very strong and dry quickly. Sorona® helps fabrics stretch comfortably and retain their shape. Sorona® contains 37% annually renewable plant-based ingredients by weight. Ezanagi - Ezanagi membrane consists of non-micro porous polyurethane and perform excedent waterproofness. membrane absorbs moisture, keeping garment dry, minimizing dew condensation, even in cold weather. Mitsubishi Heavy Industries Patented. Made in Japan. Freshcool combines 2 technologies into 1 textile. Outside protects the textile from water, dirt and stain. Inside moisture from the skin is absorbed and guickly transmit to the outside. Gelanots - Soft and flexible with only thin PU membrane, but advanced in waterproof & windproof & breathability. Offering high level of comfort by its hydrophilic monolithic membrane (non porous). Eco – friendly non fluorinated fabric. Made by Toyota Tsusho (Japan). Gelanots HB - A polyurethane hydrophilic monolitic membrane with extreme thinness (12 – 15 micron). In addition to maintaining the basic features of waterproofness and windproofness, this membrane will keep you comfortable under wet and humid conditions through its high breathability up to 39.000 g/m2/24h in B1 testing. Eco – friendly non fluorinated fabric. Made by Toyota Tsusho (Japan). Hybrid system - The main aim of the Hybrid system is to find the balance (joining different kinds of materials) or optimal functionality of the product (“WWV” – waterproof, windproof, vapour permeability). It is often the case of joining membrane and non-membrane materials, completed with functional knitting to optimise the functionality. 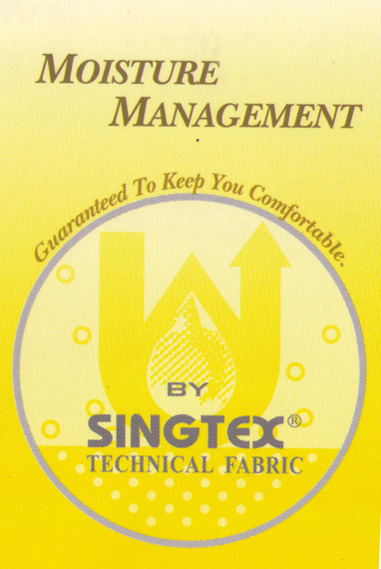 Hydrophobic extreme - It is hydrophobic and oleophobic finishing of textiles, be it cloth, webbing or nonwoven textiles. A thin nano layer of fluorocarbon is created on the surface making it extremely water-repellent and oleophobic. Hydrofobic Extreme finishing developed by NANOMEMBRANE involves every single fiber being coated with a thin layer of nanoparticles. The result is an extremely high level of hydrophobic and oleophobic finishing that prevents water, wine, coffee or grease from making stains on the surface of the textiles or even damaging them. Highly eco friendly - no water used during the treatment of textle. Cool comfort - Soft and comfortable fabric, keeps cool and dry. Long lasting perormance – wash after wash.
Microlight - Strong nylon fabric woven from the thinnest fibres possible. This fabric is, for its thick texture, excellent in combination with insulating materials (Primaloft, eco2sy, Dupont, etc.). The main advantages of micro-light material is its lightness (30 – 50 g/m2), windproofness and compressibility. Fabrics are fittet with DWR adjustment so they are also partly waterproof. Moisture Management - Chemically modified polyamid fabric in which the fibres encourage moisture to transport moisture away from the skin to the garment‘s outer surface. 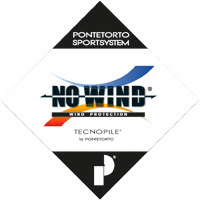 No wind® is a windproof fleece material with high breathability and vapour permeability rates. Pertex Endurance® - technology incorporates an ultra-thin air permeable coating that is both highly breathable, water and wind resistant. This layer protects the insulation material from the elements to maintain loft and retain warmth. Pertex Quantum® - is the lightest fabic Pertex makes. It is a true featherweight at around 30 g/m2. They use the finest yarns available to them with the maximim thread count. Pertex Quantum® stands its ground and shows the best strength to weight ratio. Polartec® Alpha® - is the latest evolution of synthetic insulation offering a rare combination of lightweight warmth and true breathability in a „puffy“ style garment. Because Polartec Alpha insulation is highly durable and more stable than other synthetic insulation products, more open-construction woven face and back fabrics can be selected to create an air permeable package. This small amount of airflow rapidly draws moisture away from the body and allows Polartec Alpha to be worn in a wider range of activities compared to classic „vapor barrier“ style insulation. Polartec® Power Dry® fabrics are designed to keep your skin dry when you sweat. Ideal for runners, skiers, and adventure travelers, all fabrics in this series feature a patented bi-component knit construction that uses different yarns on either side of the fabric. This creates two different surfaces: one that is optimized to move moisture away from the skin, the other to dry quickly. Polartec® Power Stretch® fabrics feature body-hugging 4-way stretch and are very breathable. Many of the fabrics feature a proprietary construction with two unique surfaces: the durable, smooth outer layer is wind and abrasionresistant; the soft inner layer pulls moisture away from skin keeping dry, warm and comfortable. as both outerwear and insulation; and offers exceptional durability. This is a versatile fabric that can be worn all year long for a variety of activities, from watching an outdoor football game to snowshoeing. and compressibility. PrimaLoft® Gold is an ultra-fine microfiber insulation that is as warm, soft and lightweight, and is warmer wet or dry than all other insulations. PrimaLoft® Silver is a premium performance insulation engineered for superior warmth, water resistance, loft, softness and compressibility. PrimaLoft® Silber insulation keeps the body warm, dry and comfortable, even in extreme conditions. 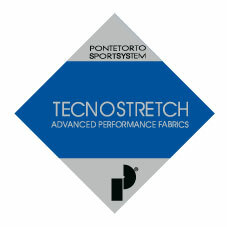 Pontetorto Tecnostretch is ideal for base and mid layering. The component yarns make the face durable, whilst the polyester reverse has both insulation and wicking properties - added elastomer ensures a body hugging fit. 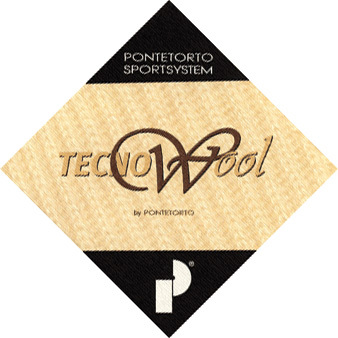 Tecnowool - Traditional wool combined with synthetic fibres is the perfect combination for casual and sports. Fashion combined with technology. The outside is durable and stays soft also after repeated washing. 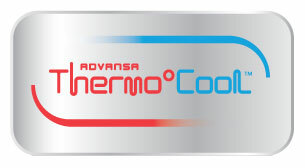 ADVANSA ThermoCool is desinged to optimize the body’s natural thermoregulation capabilities through smart fibre cross-sections: providing evaporative cooling or thermo-buffering according to the wearer’s needs. Thermolite® provides warmth and comfort without weight, even when wet. It’s the lightweight fabric that provides heavy-duty performance made with ADVANSA engineered hollow-core fibres that trap air for greater insulation. Thermolite® is the perfect layering fabric because it’s comfortable and lightweight, allowing more freedom of movement.